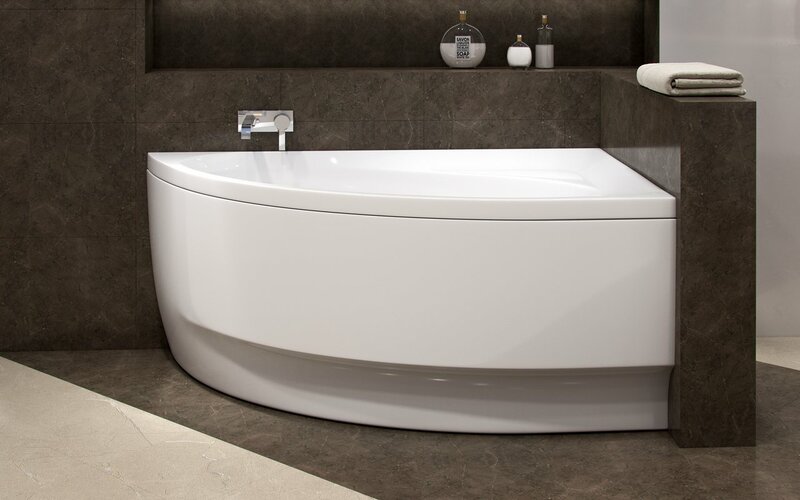 The Idea Corner Tub is one of Aquatica’s space efficient tubs, with its solid, one-piece construction, featuring thick acrylic walls for unparalleled heat retention and durability. Thanks to the convenient corner installation and apron front feature, this model allows bathroom space to be used to its maximum efficiency. 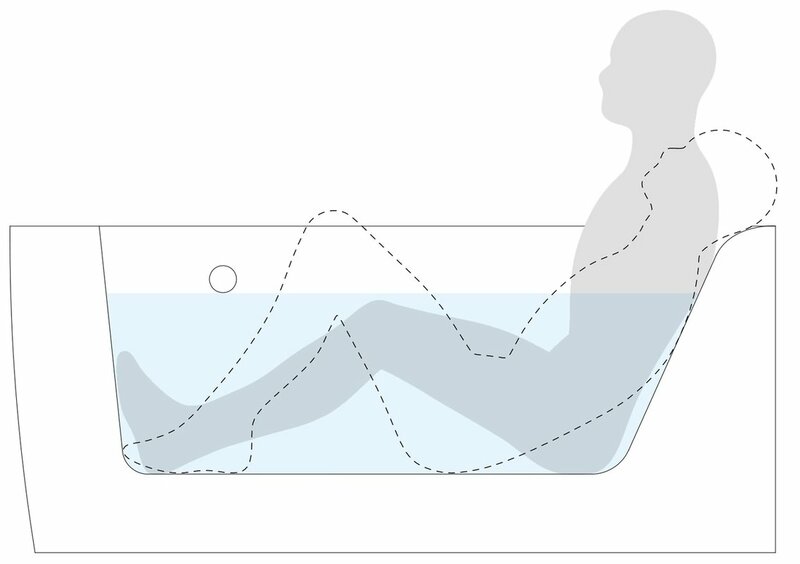 Idea was designed with an ergonomic interior and is a space-conscious bathtub available in either a left or right-hand version. For bathrooms with space constrictions, this is the perfect idea! 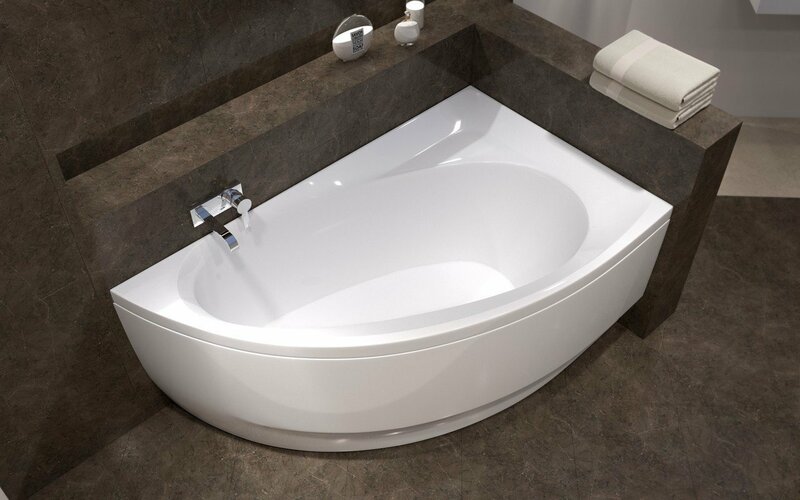 A super compact corner design, this tub is more than deep enough at 19” (48 cm) to allow for allow relaxing one person bathing. The head end of the bath incorporates an ergonomically styled, sloping back wall for sitting or reclined support, which ends in a softly curved head rest. I have received it and I love it. It is small, but I wanted small. It iw hard to place a faucet on the tub deck as it is slanted, Ours worked out that it can come off the wall as a waterfall faucet, which will be very cool looking. I will let you know how it is to hook up in about 3 weeks. Beautiful modern bathtub, great quality. Was delivered within a week, carefully packed. It's little bit small , but this tub will be a perfect addition to any small bathroom.